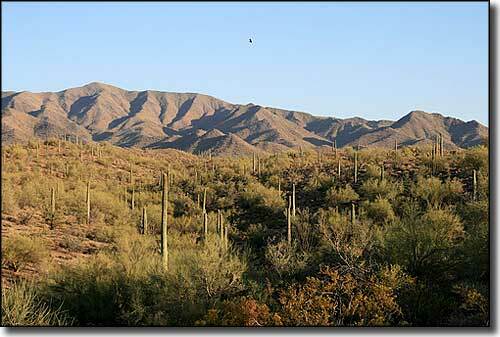 The South Maricopa's are a typical, low elevation Sonoran mountain range. The eastern part of the 60,100-acre South Maricopa Mountains Wilderness is formed by lone peaks and long ridges separated by plains and washes. The western section is mostly flat desert. 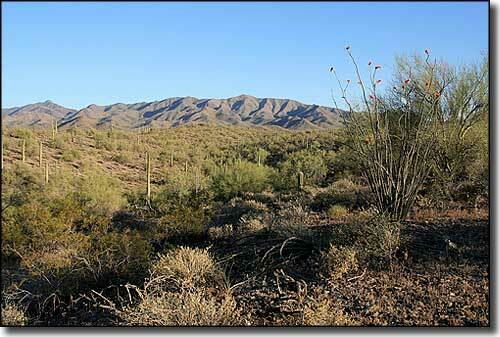 Vegetation in the whole area is primarily ocotillo, cholla, saguaro, mesquite, and paloverde. You'll find coyote, bobcat, desert bighorn sheep, mule deer, fox, desert tortoise and Gila monster wandering around in this vast, variegated wilderness, if you can get here: just because the southern boundary of the wilderness is against the I-8 corridor doesn't mean access is easy... there isn't any public access from the I-8. Nor are there any roads giving access to either the eastern or western boundaries. 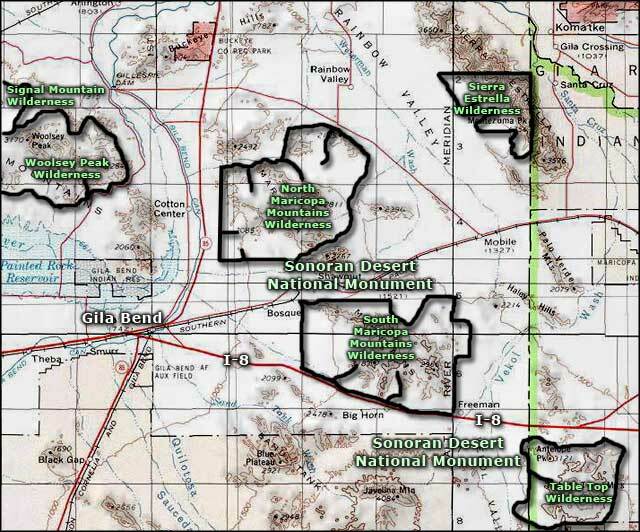 There are primitive dirt roads leading south from the Maricopa Road that give access to the northern boundary of the South Maricopa Mountains Wilderness but the presence of active railroad tracks and rights-of-way means a limited number of crossings. This is another area where you'll want a high clearance 4WD vehicle. Photos courtesy of R Scott Jones, CCA Non-Commercial ShareAlike 2.0 License.